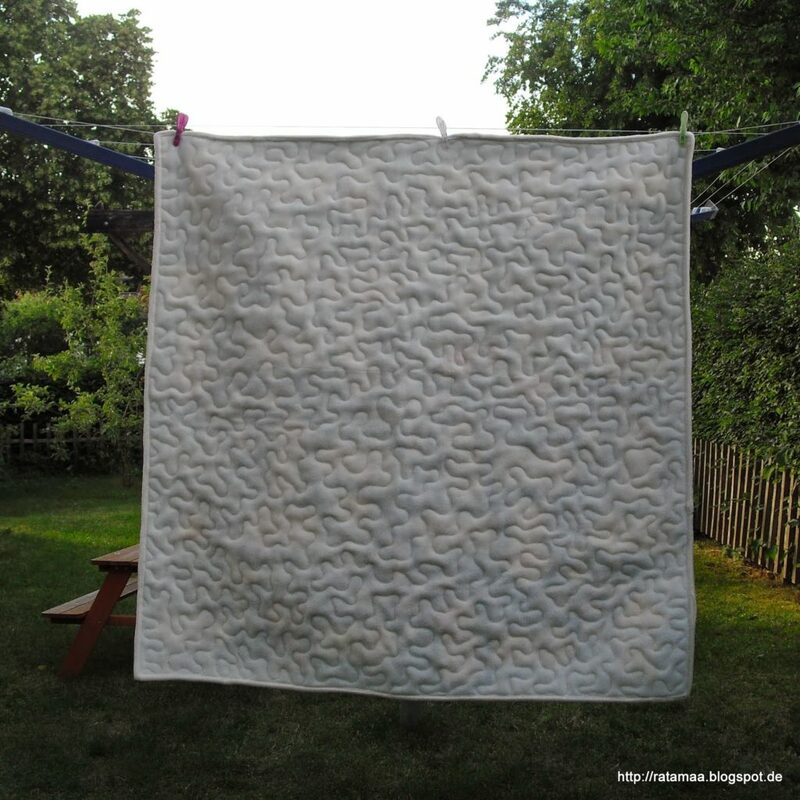 Tada, ein neuer Quilt ist fertig! 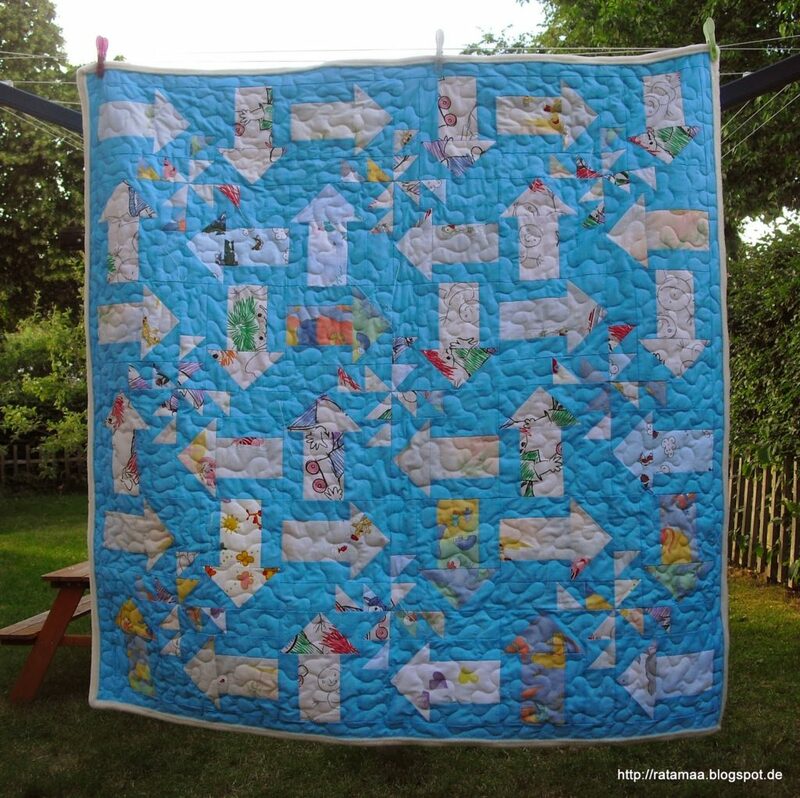 Congratulations on the finish – the binding looks great against the bright top background! This is great! The arrows give it so much motion. Pretty fabrics!